Contact Total Balance Clinic - we'd love to hear from you! which is why we 're open until 10pm on Tuesdays and Thursdays, and are always open on a Saturday. If you're new to us, please call us on 01442 211899 to book your first appointment. 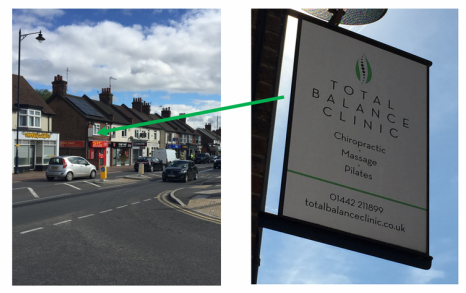 Total Balance Clinic is conveniently located in London Road in Apsley, close to London Road Retail Park, HP3 9AA (McDonalds, Halfords, Office Outlet and Pets at Home), where there is ample free parking just a few moments walk from the clinic. Parking is also available in Two Waters Road, which is also close to the clinic (and avoids crossing the main road).